The Maxus 80 Cumberland was built by the Shiu Pong Corporation in 2002. It is a 18 storey builings with about 73 suites. Located in North east corner of Cumberland and Bellair & Noth West of Bay and Curmberland. 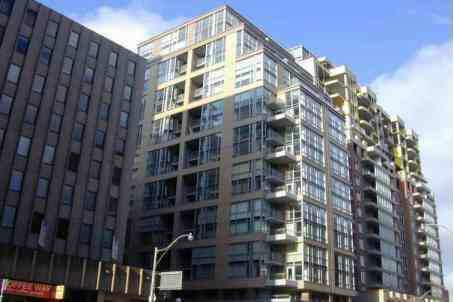 It is the only condominium loft in Yorkville.The suites are all two storey ( except the 2nd floor)with 17 foot high ceilings in the living rooms. Most of the 73 suites have balconies and huge windows. The lobby is small and has recently been re-done, there is a terrace on the second floor, a recently expanded exercise room, and a party room. The ground floor has a Starbucks. Most of the suites have deeded parking spots and lockers. 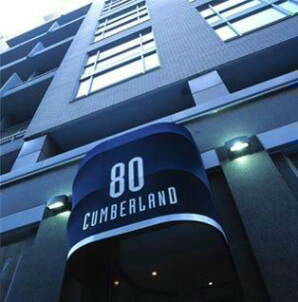 80 Cumberland is an excellent building if you are looking for something new and a little different. Suite Mix: consists of a mixture of one bedroom suites of about 812 square feet, two and three bedroom units of 2000 square feet. If you are interested in Buying, Selling, or Renting, or interested in the current Listings of 80 Cumberland Condo, please feel free to call me or send an email.